The Crystal Bridges Museum of American Art in Bentonville, Ark., opened last November to good reviews—mostly. But some critics zoomed in on a big failing: the absence of top works by artists of the postwar period, when American art marched to the front of the international stage. Now Crystal Bridges, lavishly financed by Wal-Mart heir Alice Walton, has filled one major gap with the purchase of a 1960 painting by Abstract Expressionist Mark Rothko, "No. 210/No. 211 (Orange)." An example of his most prized works, it has been shown publicly only twice and has been in a private Swiss collection since the mid-1960s. "Each orange has a different glow—it's very vibrant," says museum director Don Bacigalupi. He declined to disclose the price tag, but Marc Glimcher, president of Pace Gallery, pegged it at about $25 million. Rothko works have been selling well. One of Sotheby's anchors in its big New York fall auction series will be the 1954 "No. 1 (Royal Red and Blue)," which it expects to sell for at least $35 million. Last May, his fiery "Orange, Red, Yellow," from 1961, fetched a record $86.9 million at Christie's, way past its high presale estimate of $45 million. Crystal Bridges looked seriously at that painting, though Mr. Bacigalupi declined to say whether the museum bid. When the opportunity to buy "No. 210/No. 211" came along, in a private deal brokered by Christie's, the museum jumped. The public will first see the painting on Oct. 13, at the opening of a special exhibition, "See the Light: The Luminist Tradition in American Art." The show aims to show how artists have used light, starting with the mid-19th century landscape painters who bathed their subjects in atmospheric light and came to be known as "luminists" and continuing through American Impressionists and modernists like Rothko and Dan Flavin to contemporary artists like James Turrell. 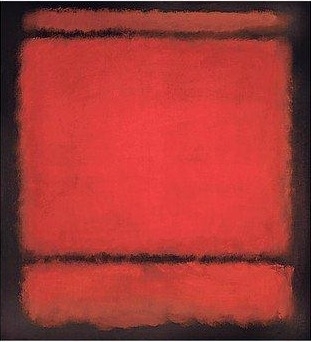 When that show closes on Jan. 28, the Rothko will take its place in the permanent-collection galleries. Mr. Bacigalupi says that he'll use the Rothko purchase as an opportunity to rethink the display of the museum's postwar galleries. In fact, they and other galleries have already changed since the opening, as the museum has added works. They include an early glass sculpture by Dale Chihuly; paintings by Thomas Hart Benton, Theodore Roszak and Miriam Schapiro; and a collection of 466 American prints and drawings that includes images by Edward Hopper, Rockwell Kent, Reginald Marsh, Charles Sheeler and James Abbot MacNeill Whistler and was assembled over 30 years by a European. The museum has also received about 20 works of art as gifts, mainly from artists' estates and foundations. Individual donors include Donna and Arthur Hartman, the former ambassador, who gave a 1902 painting called "The Midinette" by Alfred Henry Maurer. But Bacigalupi maintains that the museum is not filling gaps. "It's more complicated than that," he says. "We are not replicating any institutional story of American art. There's a multiplicity of stories. So we don't have a linear strategy for collecting or a checklist of artists we want to purchase. We are looking very broadly, and some names are blue-chip and some are at the margins."